About the wikipedia article: The cited Richard Pankhurst was not a famous numismatist. Pics of coins will take some time ... I have no scanner. I will ask Muenz-Goofy to scan some of my Harar coins. In between - tomorrow! - I can give some links to Harar coins of Muenz-Goofy. Sorry! I lack coins of all the other sultanates. But I can give some links, too. 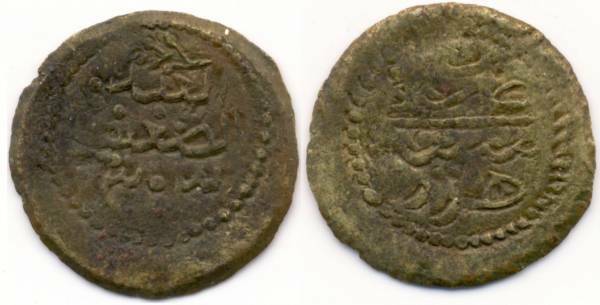 The oldest coin from Harar is AFAIK of 1783 AD (1197 AH), earlier coinage of this town sultanate is mostly of Ottoman (Mint of Zabid in Yemen) origin and sometimes of Mamluk (Egypt and Syrian) origin. 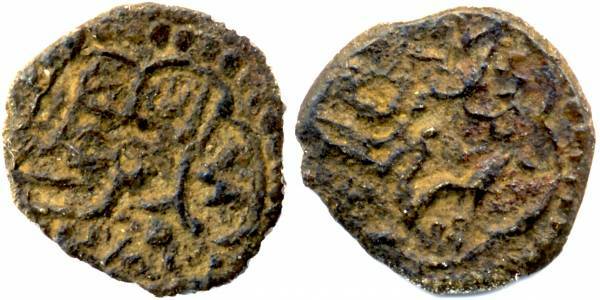 There - at East Africa - existed more older but undated Arab coins of Mombasa, Pemba, Mogadishu, Zanzibar and Kilwa. If a coin dated AH 124 exists, I would be very surprised. It would be under the rule of Hisham. At this time the dates were given in words. 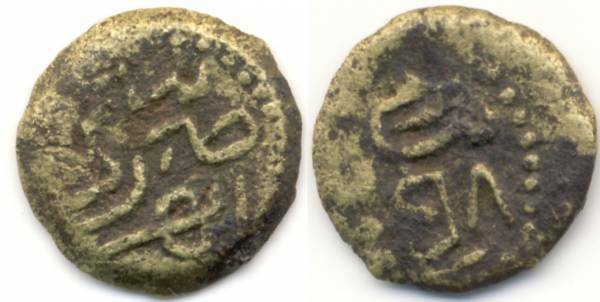 Nevertheless "bitarikhi" could refer to a person cited on the coin, and in 124 there was a new director of finances in Egypt. But most probably it is a misreading of 1204, which reads "bitarikhi 1204". The mentioned coin is - according to Melvin J. Kohl - in the Collection of Ato Ahmad Ali Shami at the Institute of Ethiopian Studies. On the net this institute don't know of that collection. There is no hit on google using the name of the collector. 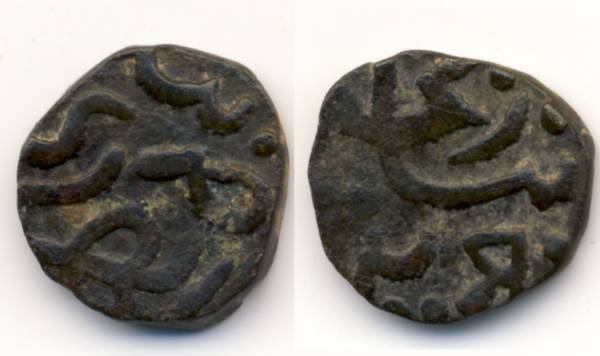 Pankhurst also lists the 1204 minting (also bearing on the obverse Bitarikhi). Pankhurst states the list was developed from discoveries by a Harari scholar Ahmad Ali Shami, as well as those held by the American numismatic society as wiell as those mentioned by Richard Burton and Howland Wood. So we are getting some consitent references. I have been trying to get hold of the Institute of Ethiopian studies, Origionally it was part of the Haile Selassie 1 University. Obviously now the Addis Abba University. Richard Pankhurst was director of that Institute. He is more a Historian than numismaticist. I wonder if with the regime change that some losses occurred. I may try to ring them later in the week. Theres some journal Articles I have been seeking that are proving impossible to obtain in Europe. The book I am using is a 1961 publicationand was the first to be published by the Haile Selassie I University. It was edited by non Native English speakers and it is not uncommon to find interesting typos ( picture of a MTT is upside down) I understand Richard Pankhurst was a descendant of Silvia Pankhurst. If 124 should be 1204, that still leaves 125. However, in both cases, there may be a missing zero, represented by a dot that a possibly illiterate die cutter could easily overlook. Just the same, 615 seems pretty early to me. I am not sure if these references are so consistent. 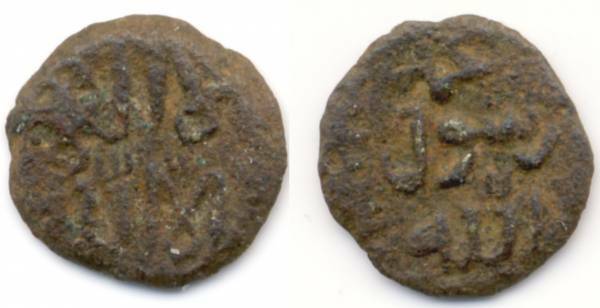 There are much mistakes in literature about coins of Harar, some even made by Stephen Album in his SICA catalogue. But it would be great, if you would be able to get pictures from the IES. Yes, 125 is probably a misreading or a derivate of the existing 1205, too.